I plan to draw 30 portraits of Ryan Gosling in 30 Days in an effort to become better at portrait drawing, better at drawing men (I always draw women. 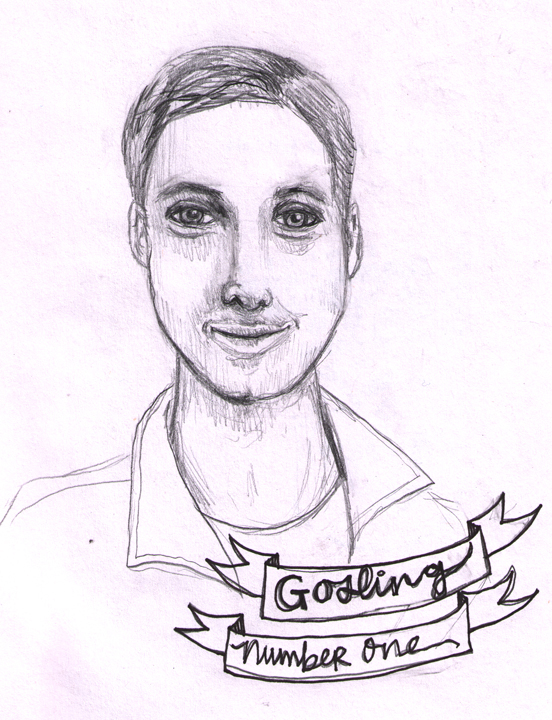 ), and better at capturing the soul of Ryan Gosling. *Man, he has some friendly eyes. *He can really rock a collar. *I do love his chin dimple thing. *It’s hard to draw facial hair without making a dude look homeless and dirty. *I hate drawing his chin dimple thing. This drawing looks 6% like Ryan Gosling. I still have a long way to go…. *Ryan is more fun to draw than his jacket. *His lips always look chapped. *His perfection is really hard to capture in a drawing. *Again, facial hair is super hard to draw. 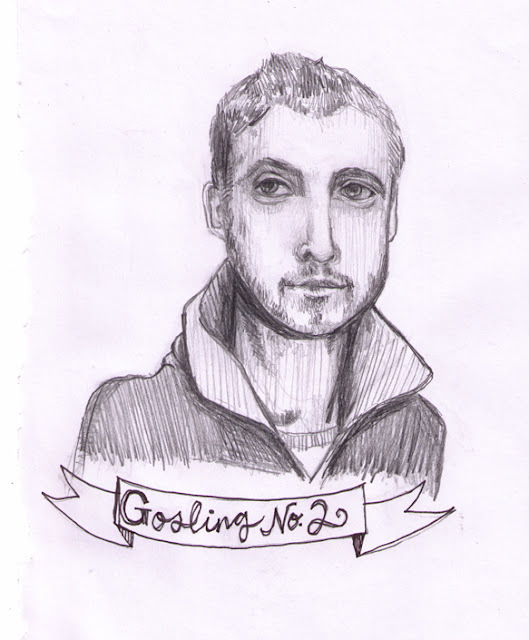 Need to find a clean shaven Gosling to draw next time (even though I like him better with facial hair). *I’m too scared to add ink to the portrait part of the drawing… Maybe next time?